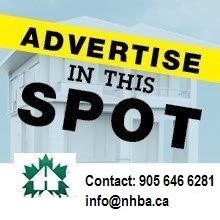 NHBA - your ad can appear here! The Niagara Home Builders’ Association recently presented the 2013 Nick Basciano Company of the Year award to COGECO. This year’s recipient has a strong dedication to the industry and the people who work in it, continually working with the members to improve product and service. They understand the value in the work carried out by the association and promote the value of membership. They make every effort to participate in all events and activities. 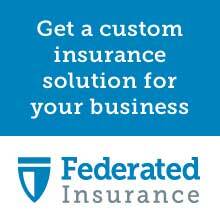 Their community spirit and involvement is a distinct cornerstone of their business. Presenting the award is Greg Jonah from past recipient Phelps Homes. The Niagara Home Builders’ Association recently presented the 2013 Member of the Year award to JON WHYTE, Development Manager, Mountainview Homes. Chairing the Government Liaison Committee Jon is a true advocate with his professional approach to the matters and issues affecting the association, its members and the industry. Jon stated “I value the Association because of the people I meet, the insight membership provides into industry issues throughout the Region, and the opportunities it affords to make a difference.” Presenting the award is past recipient Geri Morrone. The Association also extended their appreciation and recognition for Jon’s dedication, commitment and leadership during his two year term as President. Our sincere appreciation to Jon’s company for his time and commitment extended to the association. 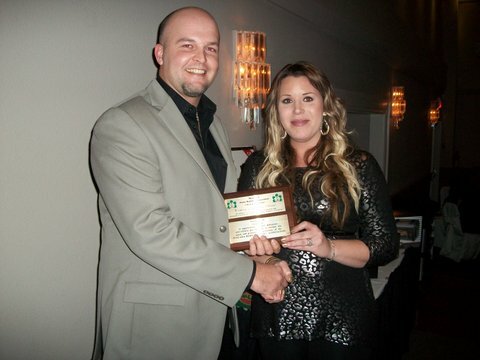 The Niagara Home Builders’ Association recently presented the 2012 Nick Basciano Company of the Year award to PHELPS HOMES. 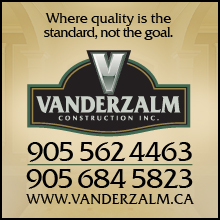 This company’s involvement in issues both currently and over the years demonstrates their continued commitment to the strengthening of our industry. Phelps Homes has a strong dedication to the association with staff members serving on the Board of Directors and the Government Liaison Committee. In giving back to the community; the staff built and donated a Gazebo for the 1812 Bicentennial Peace Gardens in Grimsby. 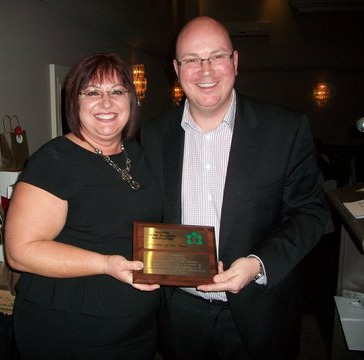 The Niagara Home Builders’ Association recently presented the 2012 Member of the Year award to GERI MORRONE, Branch Manager, Meridian Credit Union. “Geri has brought her expertise to the Board of Directors for over a decade” says Chuck McShane, NHBA Past President, “and actively volunteers in organizing major functions, as well as supporting other association events.” Geri’s passion for people is also demonstrated through her involvement in her community. Our sincere appreciation to Geri’s company for her time and commitment extended to the association. Ontario and I congratulate everyone at Mountainview for this very well served award”, expressed OHBA President Doug Tarry. The Niagara Home Builders’ Association recently presented the 2011 Member of the Year award to CHUCK MCSHANE, Manager, Touchstone Windows & Doors, and NHBA Past President. “Chuck’s outstanding leadership of the NHBA over the past two years has accomplished many things for our Association and our industry” replied Jon Whyte, NHBA President. “Not to dismiss his many significant accomplishments however, what makes Chuck so deserving of this year’s NHBA Member of the Year Award is his outstanding passion and commitment to his responsibilities while President of this Association.” His dedication is second to none, and we are proud and privileged to have had such a devoted leader. MIKE MEMME awarded 2010 MEMBER OF THE YEAR The Niagara Home Builders’ Association presented the 2010 Member of the Year award to MIKE MEMME, Chief Operations Manager, Mountainview Homes. Mike has a knowledgeable understanding of the issues impacting the residential building industry and brings an outstanding contribution to the local association Government Liaison Committee and Board, the OHBA Tarion Liaison Committee and the OHBA Board. Mike is commended for his “how can I help” approach, his dedication to the Association, this industry and his family. Phelps Homes WON the 2010 Canadian Home Builders Association (CHBA) National SAM Awards for “The Residences of Jordan Village – the Voronoff model”, in the Single Attached Home category. The CHBA National SAM awards is the premier competition for new homes, home renovations, community development, marketing and sales. “It is like the Oscars of the home building industry” said Paul Phelps, President of Phelps Homes. 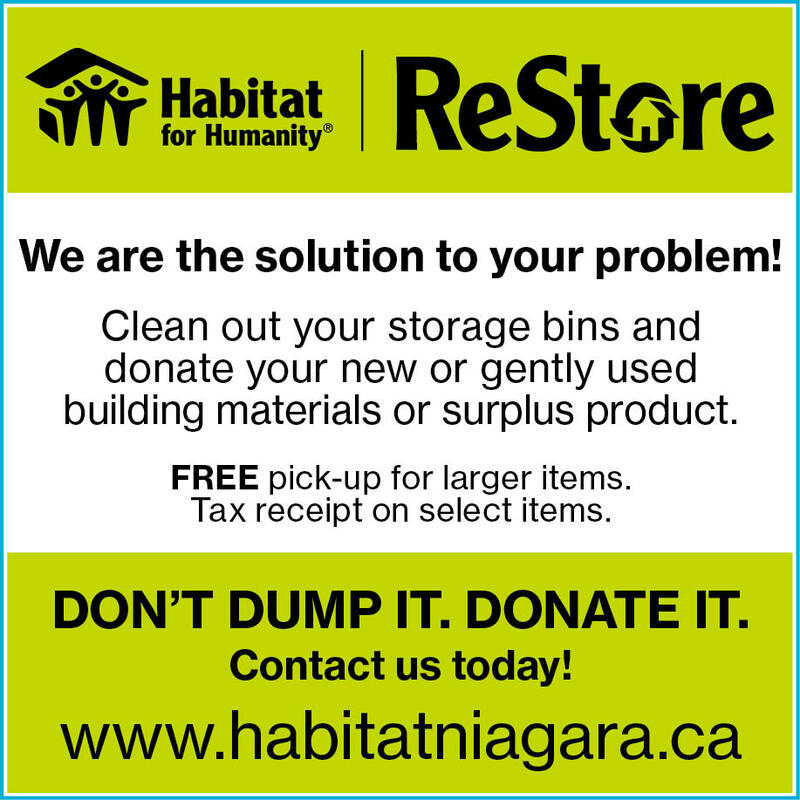 The awards celebrate excellence in new homes and renovation design, innovative technology and construction techniques, outstanding presentation, and marketing activities across Canada. “It was a great honour for both myself and our entire team at Phelps Homes to be recognized at the Canadian national level. The Residences at Jordan Village is a unique community that all of us at Phelps Homes are very proud of. To be included among the top new home projects from across Canada is very exciting for us”, said Paul Phelps, President of Phelps Homes. Phelps Homes was also a finalist for the Marketing Excellence Award. “An accomplishment that we are proud of as we were the only nominee in the marketing category whose work was produced in house”, said Karen Collins-Larter, Marketing Manager at Phelps Homes. The Residences of Jordan Village is Phelps’ newest community, located just off of Reg. Rd. 81, just steps from Jordan Village. It’s an intimate and exclusive collection of 30 adult lifestyle bungalow townhomes. One Stop Fireplace Shop Ltd.